Product prices and availability are accurate as of 2019-04-22 09:41:14 EDT and are subject to change. Any price and availability information displayed on http://www.amazon.com/ at the time of purchase will apply to the purchase of this product. 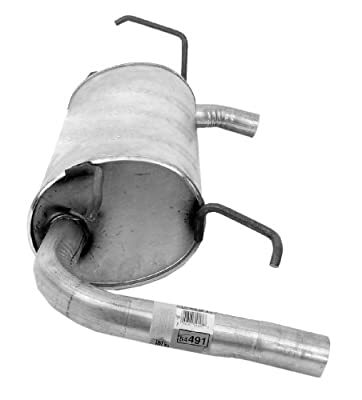 Walker is the only aftermarket exhaust manufacturer in North America with the capability to combine industry-leading coverage with a direct fit OE-style replacement, 100% structural stainless steel muffler, which provides over three times the average lifespan of competitors' aluminized replacement mufflers. Walker Quiet-FlowSS is available for a vast majority of top-selling domestic and foreign-nameplate applications. In addition to Walker's renowned precision fit, superior flow, and OE-style sound, these mufflers feature 409 stainless steel heads, shell, bushings, louvered tubes and partitions. 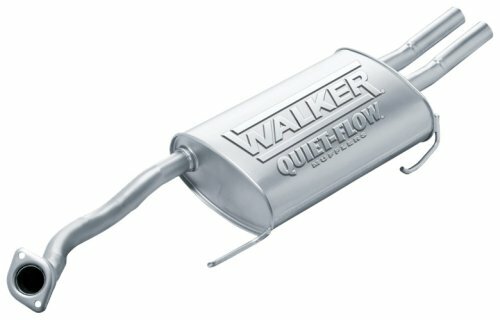 Walker Quiet-FlowSS mufflers have a limited lifetime warranty and a 90-day Safe and Sound guarantee. See www.walkerexhaust.com for warranty and guarantee details.